Do you need to sell your vehicle but are not sure how to move it for the best price? You need to turn to Cash For Cars Santa Rosa. Here, you'll receive the best price for your cash. You have a car nobody wants to buy? Not a problem, we will purchase it from you. Does your car not run and it is just sitting in your garage? You better believe we'll purchase the car. It doesn't matter what sort of vehicle, make or model, we are able to take it and give you cash for the vehicle. So, instead of waiting around for someone to give you call from your online listing, just give us a call at (707) 925-4141. So what do we do exactly? Well, we are in the market for buying cars, regardless of if it is brand new, used or just a junker you need to move. We want to make sure you receive the best price for your vehicle. We purchase a large number or vehicles which allows us to give the best price possible for buying your vehicle. We don't want to undercut the value of your vehicle which is why we do everything in our power to connect you with a top purchase price. We basically are the company that helps out sellers. After all, it is difficult to know where to turn for selling a vehicle, a regular dealership is going to undercut you at every corner while attempting to sell your vehicle online is often difficult, if not impossible. Since we buy large numbers of vehicles, we are able to work with what you have. This way, we can sell your vehicle when you might not be able to. This also means we are able to buy your vehicle for the best price possible. We buy your vehicle but we don't just low ball you and give you a base level amount of money. After all, it doesn't matter what sort of vehicle you have, you'll want to receive the most amount of money possible. Often times, if you are selling your vehicle you probably need to have the cash quickly. With the money you are able to then use the cash in order to purchase a new vehicle for yourself or for any other purpose. You shouldn't be forced to settle for an extremely low amount of money. This just isn't a good way to do things. We don't want you to leave our dealership feeling like we took advantage of you. We want you to know you receive a top dollar for your price, no matter what kind of vehicle you have or what state it is. It doesn't matter if your vehicle is brand new or has been sitting without an engine for years, we will give you the best price for your vehicle. So why in the world should someone come and use our service? It is because we don't need to low ball you. Sure, there are other locations that are going to offer you money for your vehicle, but most are going to low ball you. Should you try to go at it on your own, you might end up sitting on your vehicle for months, if you sell the car at all. And, if you try to sell it at a dealership you'll receive far less than what it is worth. So, when it comes to top dollar and a quick transaction, give us a call at (707) 925-4141. 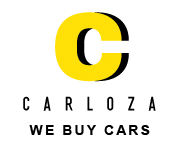 And if we are not able to buy your car we can always refer you to companies that can. For example, in the past we have sent many customers to Cash For Junk Cars Chula Vista when they have a badly damaged vehicle.